First of all, you are all gorgeous and beautiful and your words of support and advice mean the world to me. Thank you so much. Last night I had one of the worst nights sleep I have had in a long while. My heart ached and my soul felt shattered and I just could not settle. Remus is getting up so early at the moment and getting home so late he needs every ounce of sleep and I can't bear to keep him up so I took myself off to the spare bedroom, made a cocoon of the duvet and buried myself in a Harry Potter book. I cried for a while, read for a while and then tossed and turned in half sleep for a while. I woke up, thought it was morning and felt so wretched that I needed to be with Remus. I crawled back into bed with him and sobbed onto his shoulder for a while. It turned out it was only three in the morning and I could not stop crying so after a long cuddle I went back to the spare room and repeated my previous attempts to calm down and sleep. Phew, what a mess. It doesn't help that today I woke up to CD1. The sad got me big time. Anyhoo, all that said I actually have great news and I am feeling much much better. I was advised from several quarters (thank you ladies) to periodically call and see if there were cancellations we could nab. I called at about three today and I spoke to a very lovely and helpful lady who had a really good look through the system for another appointment. There were none at all and she said that they rarely get cancellations for this type of appointment... HOWEVER... I then told her the reason I was concerned was that my period was due two days after the appointment that we do have. She immediately said, 'but that is perfect'! If I wasn't on the phone I would have kissed her. She assures me that the fact I am only a couple of days from CD1 will not mean that we cant use the cycle, she is certain that the bloods and other tests that need to be done will be sorted in time to use this cycle for treatment. I am so so happy. It looks like we will get a shot at this in late February/early March. I am realistic, I know this treatment may not, in fact statistically it probably wont, work. I am and will be well prepared for that eventuality and I intend to chant my usual hope for the best prepare for the worst mantra. But..... but..... I will be doing something. Remus and I will have a chance to make a baby again, a chance that it might work, that we might get pregnant. I just want to know we are in with a shot, because so far the last few months have not felt like that at all. I have totally given up on the idea of a baby made in our marital bed and that is ok, I have mourned that and let it go. I don't care how many people are in the room staring up my foof as I am eventually impregnated, I just don't care any more, bring on the legs akimbo utterly unsexy baby making. Lets just at least try to make a baby. In other news, I made an odd decision. I have a gazillion cousins, most of whom are girls and all of whom I see at least once every year. We are quite close as cousins go and even though we are spreading out around the country we put lots of effort into staying in touch and catching up. This year we have not one but two weddings and the hen-do's that go along with them. Two new dresses and four occasions to have a laugh with my home girls, hooray! The first hen-do (that is a like bachelorette party btw) is in a couple of months and it is for my cousin who is a vet in training. She loves all things animal and we are spending the day at a wildlife park and have all been asked to choose a different animal to come as. Without even thinking about it I baggsied Kangaroo for my animal. I have always loved them, although I would not have said they were my favourite animal. It just popped out. "I want to come as a Kangaroo" I heard my mouth say. Then I thought, that will be an easy costume, ears, tail, apron with a pocket and a stuffed toy, sorted. Plus I am a bouncy kinda girl, I will enjoy that. Then a day later the penny suddenly dropped. I had picked am animal that would mean I was carrying around a baby in a pouch all day. I had chosen an animal that could not have screamed wants to be a mother or desperate to be pregnant harder if I had tried. My initial reaction was ack, I can't go as a kangaroo any more. But then the more I thought about it the more I still wanted to. To quote the film 'If you build it, they will come', perhaps I need to manifest this. I need to give into this impulse and hope that it brings me luck. What do you all think? Am I crazy not to change? Will it be too painful or will I be able to embrace it as a way to will my real little Joeys into existence? I went ahead and ordered a stuffed toy Joey and it arrived today and is gorgeous. Am I over thinking a silly dressing up costume? Yes, probably but there you go. Sometimes my mouth makes decisions for me without asking my brain first, but maybe that just means I jump in to things I wouldn't otherwise. At least I get to play at being a mummy for the day if nothing else. I don't think you should change your costume. Maybe maybe maybe it's a good sign you picked a kangaroo! I like that you got some good news for a change. I hope that things continue to look up my dear! Thank you sweetie. I don't think I will change it. My two sisters will be there too so I will be well fortified with support and love. I say stick with being a kangaroo. You never know...it may manifest your dreams. At any rate, you'll look adorable! Thank goodness for absorbent chests and broad shoulders to bury heads in. Men are lovely. If that's what came out of your mouth, you should go for it. You don't have to have the joey. If you change your mind at the last minute you can pull out the stuffed animal and say you couldn't find one or something. I like the idea of throwing it out to the universe, though. I think you'll be adorable! I will though wont I. I will be a bouncing bundle of adorable. Oh kangaroo :) So much fun, and coming from a vet, that will be the best hen do ever. Also, I get you on the sadness. I am cycle day 2, which means our 3rd IUI did not work. The last days of "the hope" when you kind of think and pray and wish but don't really know and can't really tell are always the hardest. Then my period comes and I can start hoping again. I get you on the feeling of being able to do something, proactively seeking this baby. Like you said, bring it on doctors, scientists, make us a baby. I really do hope this cycle with work and this is all so hard to navigate that thinking positive, choosing the joy is really all we can do. I am so sorry that your last IUI did not work. I am loving your January Joy and I will be hoping right along side you. I was sorry not to get to see you on Tuesday.... next time.... next time! I love you going as a Kangaroo!! Very fitting. I know the sadness you're talking about. How dark everything feels following less than great news. So I'm very happy the receptionist was so helpful and told you that things would work out. For all my IUIs, I began medication on CD3 or 4, so I'm glad that you'll be able to hit the ground running. Hang in there. Be extra good to yourself. And looking forward to more good news soon! Ugh, sorry to hear about your bad night--been there more times than I can count and OF COURSE CD 1 shows up the next day! So happy to hear you're feeling better today. I have had more sleepless nights in the last 6 months than I care to think about. So sorry. It's so great you won't be delayed because of your appointment day. It really is such a great feeling to finally be doing something instead of all the waiting. I want to get this show on the road!!! 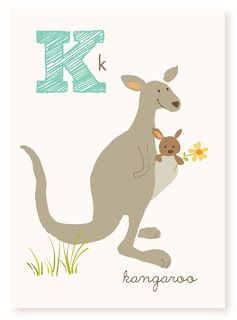 I love the kangaroo idea! You should totally go for it. Fake it till you make it, you know? And so glad to hear that treatment will be able to start towards the end of next month! FWIW, I went to our fertility clinic for the first time on CD2 and they did everything they needed to do that very day and I was able to start my drugs that month without any delay. So I bet that lady really does mean it when she says they'll be able to get started on your next cycle. 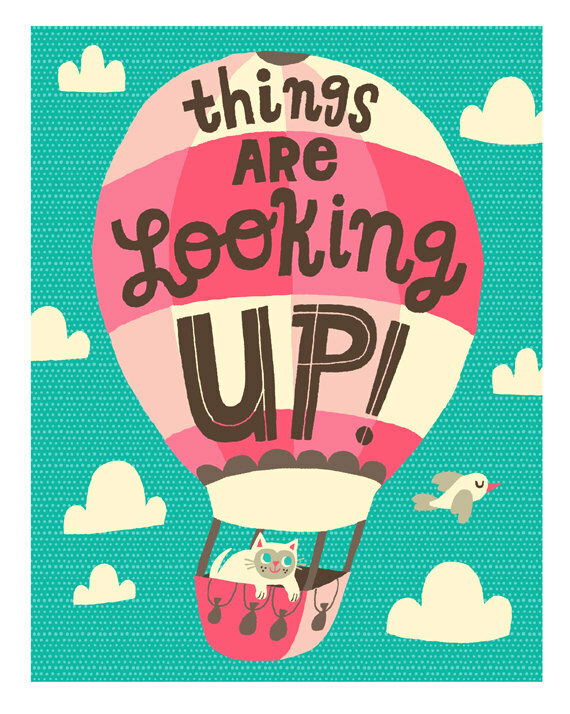 I hope that's just the start of a rash of good news for you! Great to hear that! Whoop whoop! Yeah! great news in regards to timing! The waiting is the worst, and I'm glad the timing is going to work out just right for the two of you! Fingers crossed. I think I am due a break right about now. Ugh, the sleepless nights. I had a whole week of them last week, and it's no fun. I hope you get some good sleep tonight after your good news! I am sleeping a bit better now. I had a wonderful yoga session yesterday and that seems to have helped. When I started reading about your second guessing, I got frantic. No! No! The kanga costume is perfect. And with that little joey, well, it is even more perfect. I'm trilled you stuck to your gut instinct. I do believe it will be perfect. In every sense. He he, I am quite looking forward to it now. So sorry about the sadness hitting so hard. Since I'm still just starting out, it means my husband keeps making all sorts of "Observing the Obvious" comments, like "Wow, it's really awful how you get hit with the double whammy of not being pregnant AND having all of those hormones." Yep. That about sums it up. So exciting about your appointment though. And glad you feel like you are DOing something. Which, of course, you are. I remember the just starting bit. Strange to say but in some ways it hurts less now than it did then. I have more acceptance for what we are going through now. Ha ha! I saw some at Taronga zoo when we were over in Auz and I was surprised how huge they are. I fell in love with the Koalas too but I didn't get close enough to let them rip my face off with those massive claws. I am staying hopeful for you & can't wait to see what these next cycles bring!! You are long overdue for some good news! Can't wait to watch your dream come true - and soon. As for the Kangaroo I think it's fab and you will be a beautiful Kanga!! And like someone else said above you can always ditch Roo on the day if you feel like it, or maybe it will be a build it and it will come kinda moment!! I've had nights like that too ... a sweet husband and a good book got me through it, too. It's nice to hear that this piece of timing is "perfect." It would be great if it worked out that neatly. Had to laugh at Lady Blogalot's view of kangaroos - it's true, they're mean suckers in real life. Which is not to say that they're not adorable in cartoony versions, or that you wouldn't be the cutest hopper around, either. And I'm sticking with your "if you build it ..." principle!